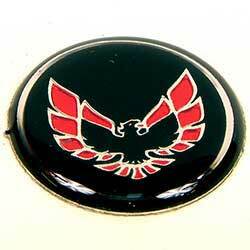 New reproduction red bird shifter button inlay for 1970 - 1981 Firebird Trans Am installs on shifter knob. This replacement red bird emblem. For use on NON Special Edition Trans Am. 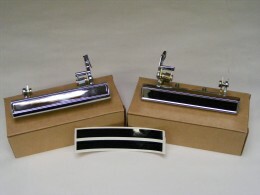 This replacement inlay emblem installs onto the shifter knob button and replaces your worn faded or missing stock unit. Install is quick and takes just minutes, as easy as "peel and stick!"